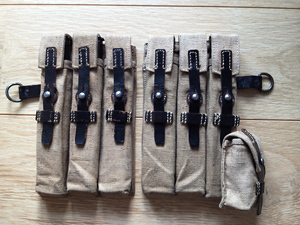 13-12-2013: Below you see some sets of pouches that I have recently added to my collection. 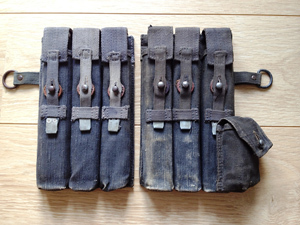 Especially the set with the metal tips on the straps is a rare find. 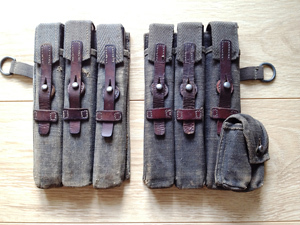 I'm still looking for an original vehicle pouch (or as some call it a Fällschirmjäger/paratrooper pouch) The dkk set is also a very uncommon set of pouches. 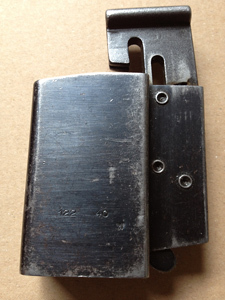 These were introduced by Friedrich Offermann & Söhne, Leder u. Lederwarenfabrik from Bensberg in 1942. 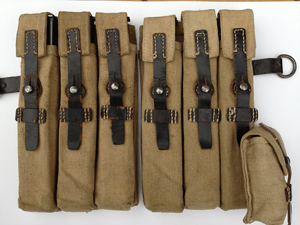 Completely below you see the more commonly found clg pouches in sand colour. 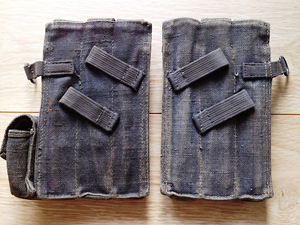 It took a while before these pouches were accepted by the collectors community as original since so many pouches in mint condition were encountered in Antwerp (Belgium) in the late nineties. 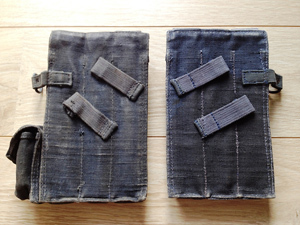 These pouches are 100% original. Interestingly the right side is stamped clg 44 and the left is clg 43. 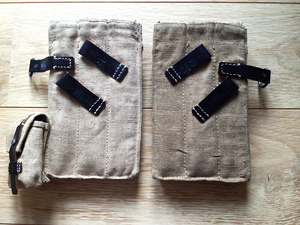 If you are interested to learn more about the MP38 and MP40 pouches read my page about pouches. I realize it is a bit outdated but at some point I will give it an update. 17-5-2013: The MP40/I will remain somewhat of a mystery. 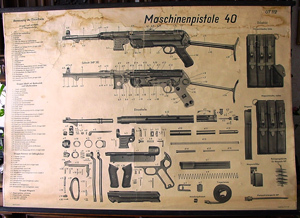 It could not be considered a proto-type weapon since it was beyond this phase as it was mentioned on the official Regulation D 97 + "equipmentlist (Vorschrift D 97+ "gerätliste") as Gerätnummer 1-3004 Machinenpistole 40/I. My estimation is that only a few hundred were build. 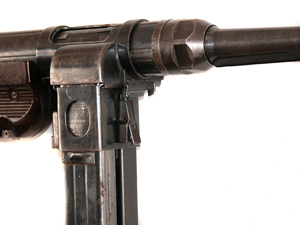 It never really became the German answer to the high capacity magazine of the rugged Ppsh41. Since so little information is available I tried studying the photos of the remaining specimens. I have written a small page about this interesting version of the MP40. Currently I have identified 9 MP40/I's. 5 in private collections and 4 in museums. Please let me know if you have further information or own one of these mystery MP's. 12-5-2013: I have been collecting now for over 20 years. During this time I have build up an interesting collection. Since I always want to improve and scale up my collection I have build up quite a collection of double items. 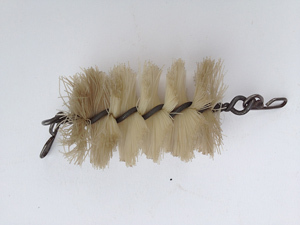 I would like to use this website to sell of some of these items. I have set up a special page for this. devide in 3 sections: Original items, reproduction items and post war items. SORRY, MOST ITEMS ARE SOLD NOW! Look at the photo to the right. A nice original Haenel (122-40) MP38 Magazin loader in excellent condition and without the "mp38u.40" stamp which means that at that time the MP40 was not in use yet!